Although he has some fans, I don’t like him. Although he is from a poor family and loves the female lead dearly, he puts career advancement ahead of her which is unattractive! Yes, yes, yes, I am also mesmerized by Big Boss’ beauty!!! He is handsome and cool as a cucumber:P But he is also controlling and intimidating. Anyway he should rank higher in view of his good taste in buying cosmetic as well as picking Shan Shan to pick vegetable, haha…. 38. 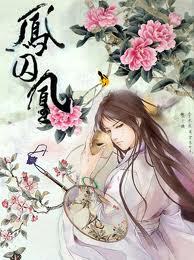 Chéng Tiān Yòu from novel: Liáng Shēng, Must We Be Sorrowful? Oh, my poor Meng Jue. I don’t think he did anything very wrong to deserve the way Yun Ge treated him. 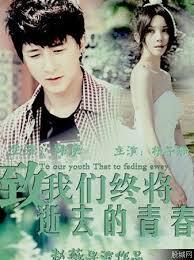 He did so much for Yun Ge in silent. Such a misunderstood and sad guy. At the same time, I also like Liu Fu Ling. Oh, where is my Ling gege??? Although he left the female lead without a word, he has valid reason to do so. 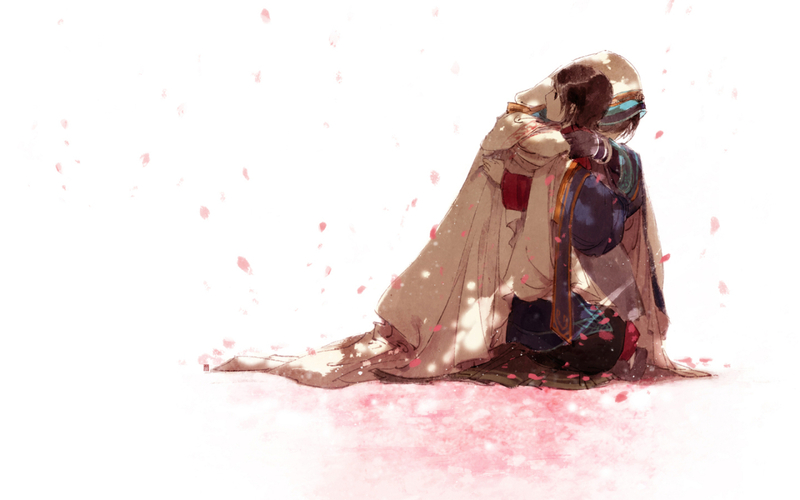 The important thing is he came back when she needs him most and gives her a future together. I don’t know why the female lead is the most attractive male character in the book? He has a nice name, very gentle and warm just like his personality. Dr He is very patient and attentive to the female lead, trying to heal her physically as well as emotionally. Arrrgh, my little rascal Xiao Bai, lol. He is very cute, funny and sweet to the female lead who is kind of silly. At times, he is also a big bully and unreasonable as well. 18. 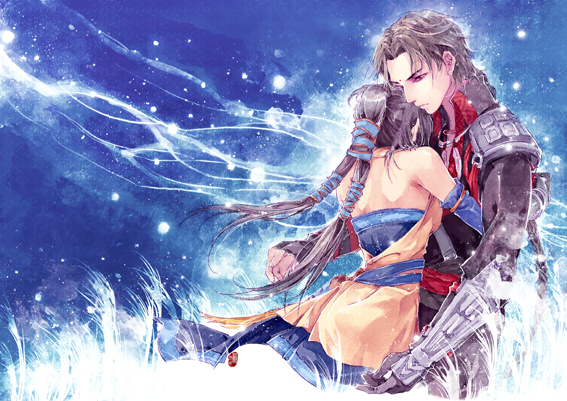 Tan Shu Mo from novel: So What, You Are My Student? “How can you be so cruel? Make me kill you personally, then leave me all alone. What do you want? You only need to say it. No matter right or wrong, I will also give you. I’ll give you love. I’ll give you myself. What does the destruction of the six realms has anything to do with us? What does whether these people are alive or dead has anything to do with us? I will take you away, we can go anywhere, you can do as you please. These quotations are advertisement for my coming feature, not because I like Bai Zi Hua. I don’t find him attractive. You’ve to read my article to find out why, lol. Mu Yan is practical and realistic in that he chooses to face reality with A Fu and not live blissfully in a make believe dream. Yet, he is just too rational to make me like him very much. I don’t need to tell you how great this guy is since Promee and cloud&sea are fighting over him, lol. 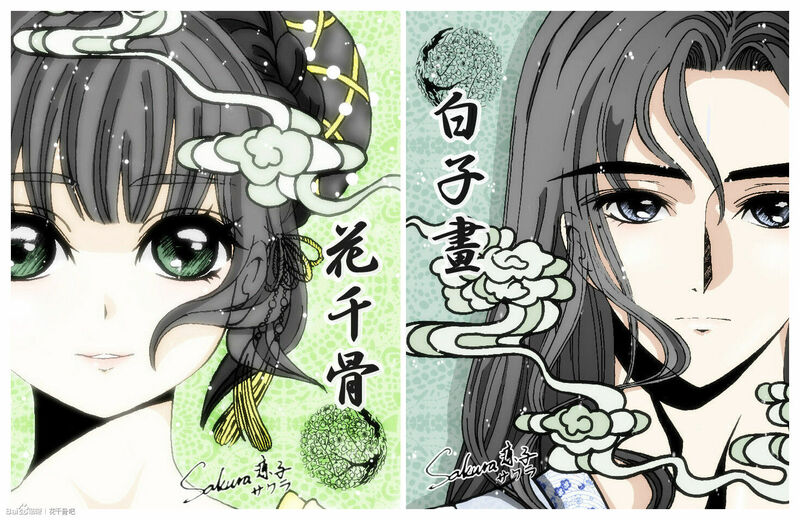 Do both of you like Wang Li Chuan because Godfrey is portraying him or you like Li Chuan for himself:P? I am thinking of translating all of Gu Man’s books and changing my blog to fangirling Gu Man, are you with me Lidge, lol? A genius computer science student who already has his own company to develop online computer game. Also specialises in chess, zither and a school champion swimmer. 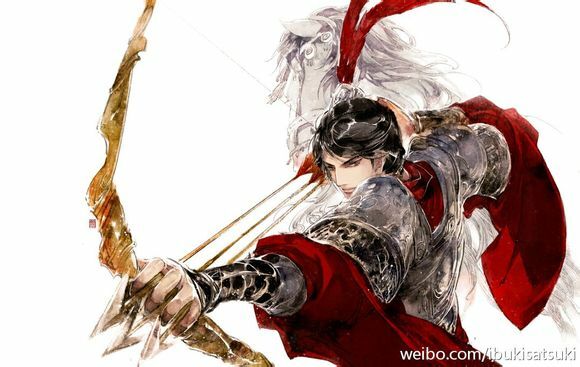 Da Shen (Big God) is number one on the online game player ranking. Attractive enough? He is cool, rational and objective but when he is with the female lead he is crazily in love. He waited 7 years for her to return and during that time, his heart never wavers even for a moment. Although he knows that her dad indirectly caused the death of his parents, this never color his love for her. Now you know why he is constantly ranked number one!!! Hihi peanuts…is there a problem with SSB…can’t open…says server not found…. Should we like SS, protest to GM to revise FT to enable him to express his character better, lol? I think HYC & XN are ranked so high bcos they are the pioneer in those kind of storylines. The readers follow GM’s stories on them for many yrs. Whereas SS’s storyline is a very typical white text with no angst or conflict. I am listening to the audiobook of Kao now & I feel it is very similar to SS but Kao is better developed with more angsts & conflicts. In fact a few lines are even similar to SS. 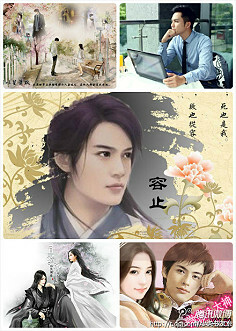 But Shi Fu, I am so surprised that you did not finished reading Kao, how could you hv abandoned Song Zi Yan half way?? I enjoyed that book so much, thinking about Qin Qing still make me laugh, and yes, she’s tonnes sillier than SS and I add together!!! Hey, you think I’ve 48 hrs in a day? I am wasting a lot of time training you up, lol. Anyway no worries as someone is reading it to me now. I was smiling all the way to work just now, lol. Also, I dun like characer who is too extreme. QQ is just too stupid, she gets on my nerve !!!! Yes, quite similar to SS but not as cute. Very funny, I am listening to the audio book now. Got the Viet book cover here for you, lol. Hehe…I am ur loyal fan, supporter and cheering squad…. I luv peanuts….. I haven’t gone thru this one….will post my comments soon….coming soon…hehehehehe…. 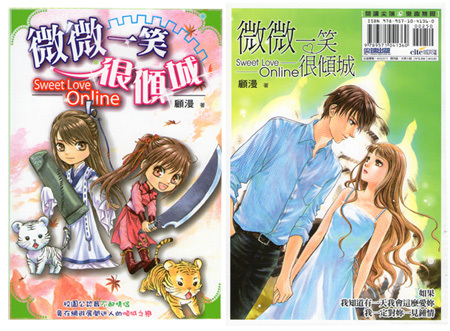 It doesn’t surprise me that all three of GM’s novels made it although I wouldn’t have voted Xiao Nai at no. 2. (Remember the problems I had reading the book? Then again, I guess it’s just stupid me and i shouldn’t measure my low IQ against everyone else’s ultra high level). I must say, i like Silent Separation’s cover the most out of all the book covers I have seen. 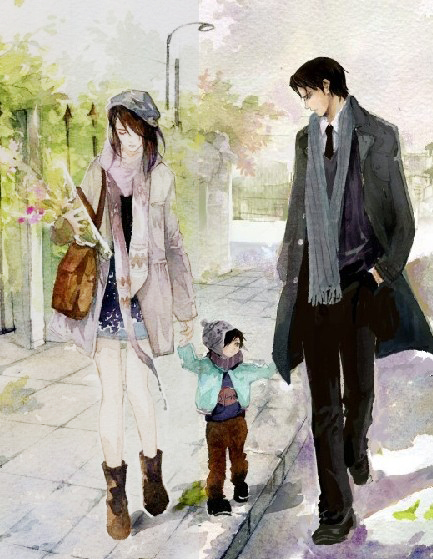 The three of them walking hand in hand, and the guy is so He Yi Chen like, it’s just how I imagine him to be in my mind. I am also up to my eyeballs with Hundred Million Wife, now I feel like having a Ning Ning in my life too (although I am most certainly not giving up any of my uncles!!! Oh….I really must go check out Rong Yan, for him to make no. 29, this fella ought to have some substance. 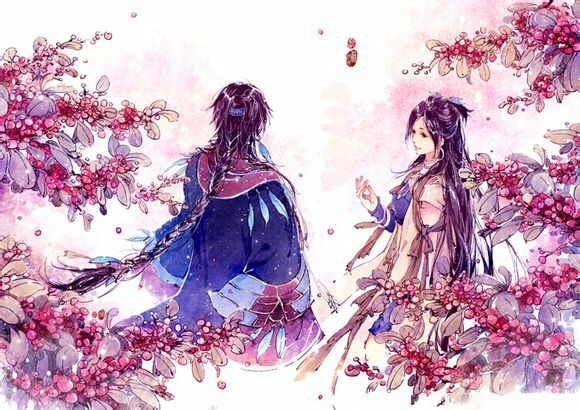 So far, I’ve kept my distance from all the other brothers after i read Go With The Flow of Love because I didn’t think anyone else can come close to Xiao Bai and also Liang Fei Fan gave me indigestion. 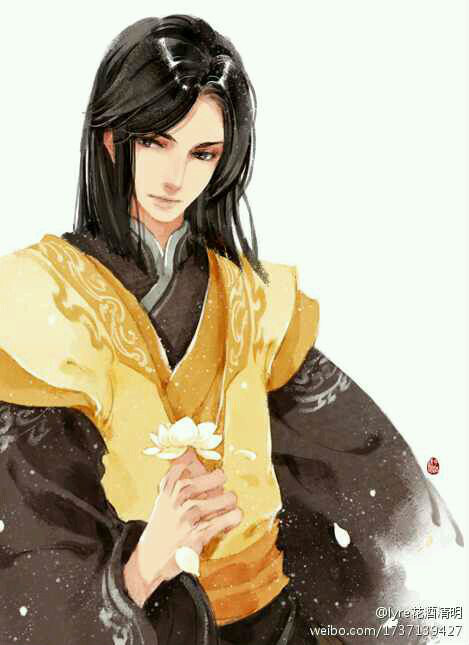 Another character that caught my eye is He Su Ye (Loving You Is The best Thing That I’ve Done). I love the title but the drawback is the male lead’s personality is not really my cuppa tea. But, haha….I’m going to invade Peanuts’ territory…..I am going to read this book too. 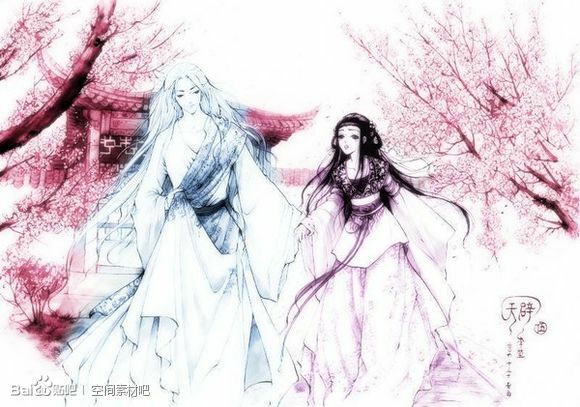 And I can’t help but sadly reflect (think i’ve said this before) that I am missing out big time in not reading ancient novels…..closest one I got to was Ravishing Crown Prince and that too became an aborted project. I wonder if the day of ancient novels will ever come to me????? Big thanks for sharing this list with all of us…..
After reading 100 to 51… I started reading little bunny and superman…….so cute..happy with no angst…..
13. Mu yan… Still dun understand this story much…but I like how he is always there with a fu….and is willing to live with a walking dead and even marry her and give her half his life for her. 12. Ye hua…oh how he loves, indulges and spoils qian qian….a perfect house husband…haha nice to have one like him tho…. Hey Pm, He Yi Chen is #1 becoz Gu Man created him, her creations snared the top two spots!!! 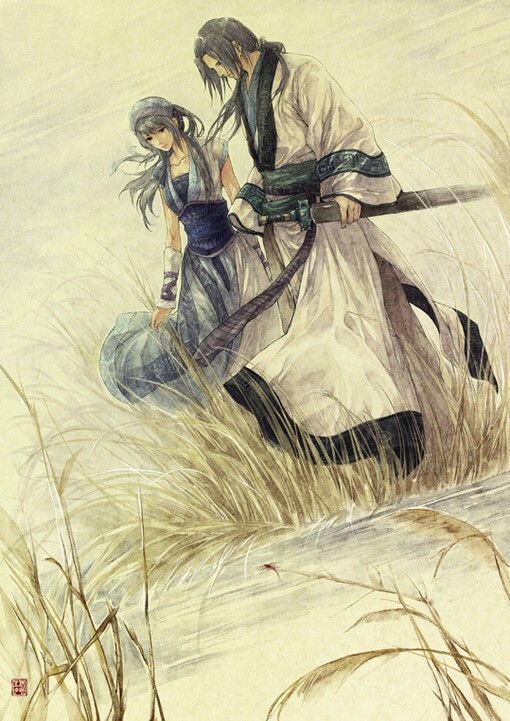 But really, just imagine Zhao Mo Sheng’s father actually caused the death of He Yi Chen’s parents and yet, he can still love her so much. To me, that alone speaks volume of his heart and ultimate inner sacrifice for her, therefore, I don’t think it is the 7-year waiting period that got him the votes. I tot you’ve finished the Bunny Book, anyways, if you’ve not, step on the accelerator and then join us at the dark side to read Mr Ye Chen (#11) of Hundred Million Wife. This book is such a page turner, extremely long with something like 900 chapters, the consolation is each of the chapters are extremely short. Do you want to guess who got me hooked on Mr Ye Chen?? 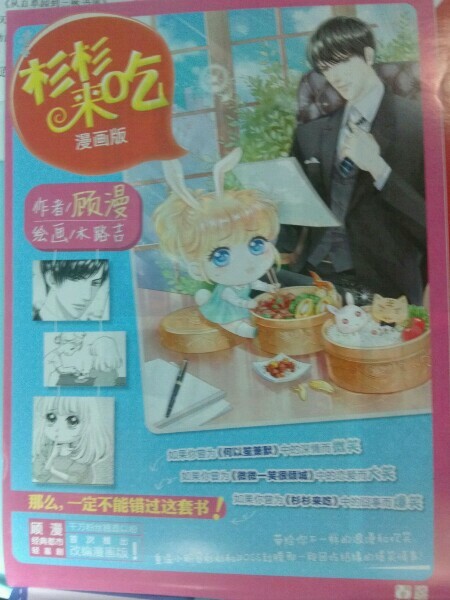 (Btw, you can read the Bunny Book, but Ling Cao is mine)…..
Xinn….we already share uncles…..can we share ling cao?? 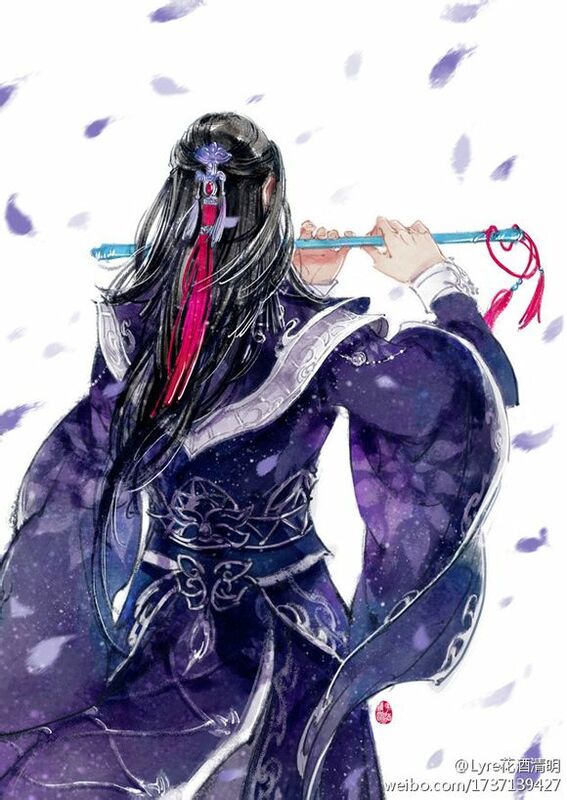 Btw….I think it’s ling zhao….not cao…( correct me if I’m wrong someone….) then again….hhmm….I think I have a few others in mind too…Wahhaa…. True true…hhmmm to love the daughter of the man who indirectly caused ur parents death…… Takes quite abit….. But I’m sad that mr ying was all alone…. I just finished bunny book yesterday….hehe…. 900++ chapters??!!! Seriously…tat will take ages. Ow wouldn’t it?? Is it a nice enough book tho? But my guess is that he is “UNCLE” … :p a charming one at that…..
Hey Pm, you’ve a FT to look after you like Xinn, so free to read books so fast:P FYI, I’ve not finished the bunny book yet, stopped at chapter 50. I like it too much so save the balance for future, lol.. Xinn posted a pirate version of bunny, a McDonald version so you can check it out. Needless to say cannot compare to the gourmet:P It is Ling Cao as in super. Hey, I’ve already stated the reasons why lawyer He is so popular. In romance novel, 1st love normally wins, haha. But I hope GM’s new book, the 1st love will lose bcos I am supporting the boss !!! Hey, hey….Shi fu, what’s a “gouxue” book? Dogblood? Pls lay it on me upfront b4 I get too deeply sucked in like Superstar Bf. At the moment, I’m still not so far ahead but I already sense a lot of angst and turmoil coming from all directions. Poor Ye Chen. I need all the spoilers I can get, otherwise, I will not be able take the stress. And Ye Chen will hv a second son, with Cheng An Ya or another woman? If it is another woman, I swear I will ditch the book immediately. Lol…. You didn’t pay any tuition fee, so I am not gonna tell, you, lol. You are so slack, go & google for your answer. 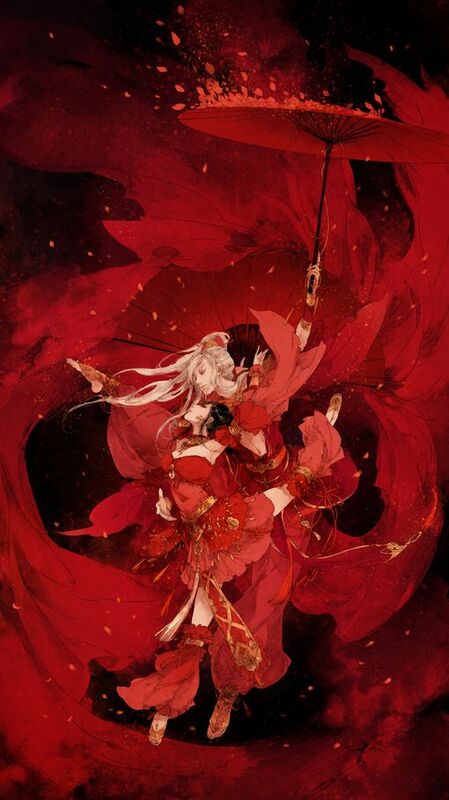 Already told you gouxue is nonsense book, haha…It is a new genre like soap opera, long, melodramatic, contrived, something with not much literature value:P There are plenty of these kind of books out there but I only posted one of the best. Don’t worry, guarantee you happy ending. Before that of course there is the std angst, misunderstanding, family secrets etc. Otherwise how to write 900+ chapters? Hey, I gave up after 100+ chapters so can’t tell u much. Where are you? Our friend is still hooked on it. She even plans to read the sequel. According to her, so far so good, very addictive. 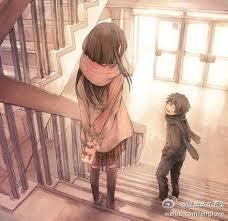 Ning Ning will have a love story with a cute girl. Ye Chen’s sis storyline is also interesting. Ye Chen will have another son & daughter with An Ya..
Hi peanuts!! 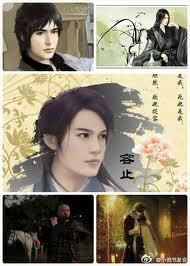 Hmm I like Li Chuan (novel) at the beginning because goshhhh one of the coolest handicapped man haha! But he became a bit too stubborn in the middle. Anyway Godfrey made me excited over the drama hehe. I don’t really like him in the past because of his moustache but he looks so HAWT in the trailer. Anyway any books to recommend? Read first chapter of tiny times book 1 but a bit too depressing. The words Guo Jing Ming used to describe the city makes my life more sad… Anyway I am into novels with handicapped male leads but it seems like I have read all the good ones alr… Not really sure but yeah…sorry for being so picky hahaha. 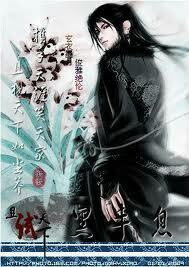 But I like ye luo wu xin kind of novels!! I’m back here…..l peanuts…wat is ft? I’m going to stay away from 100 million wife…if not I will hv a 100million hrs of lost sleep…..Xinn u done with the book? why do you like silent separation so much?!! ?